There’s a certain comfort and joy about being at home while snow falls outside. It’s so peaceful and beautiful from your window while you’re warm inside. But once you have to go outside and travel in it, things can quickly change from calm to stressful. Clearing the driveway and walkways becomes your first priority. But for Infloor snowmelt system customers, they have added peace of mind that their outdoor surfaces will always be free of snow and ice, leaving them free to focus on other things. Snowmelt systems are becoming more popular in today’s homes and businesses as a convenient and cost effective method of automatically clearing snow and ice from surfaces such as driveways, walkways, stairs, patios, business entrances, parking lots and ramps, loading docks, hospital entrances, helipads, or car wash bays. While there are different control configurations available, automated systems are always ready to work when inclement weather arrives, whether you’re home or not. These systems automatically eliminate the need for labor intensive snow removal, shoveling, and salting, and minimizes the risks of liability due to personal injuries, and damage to the surfaces themselves. Typically, a sensor is installed in the surface of the heated area that monitors both temperature and moisture. Therefore, the system only runs when needed. It prevents the system from running when the weather is cold but no snow or ice is present, or there is moisture but the weather is warm enough to prevent freezing. These types of controls are considered weather responsive controls that are used with on demand systems. With automatic controls it is possible to maintain slab temperature, supply water temperature, and boiler return water temperature at optimum operating conditions. However, as more automatic features are added to the system controls, there is an increase in initial system cost but generally will result in a lower operating cost. The automatic ground sensor as a finished product. 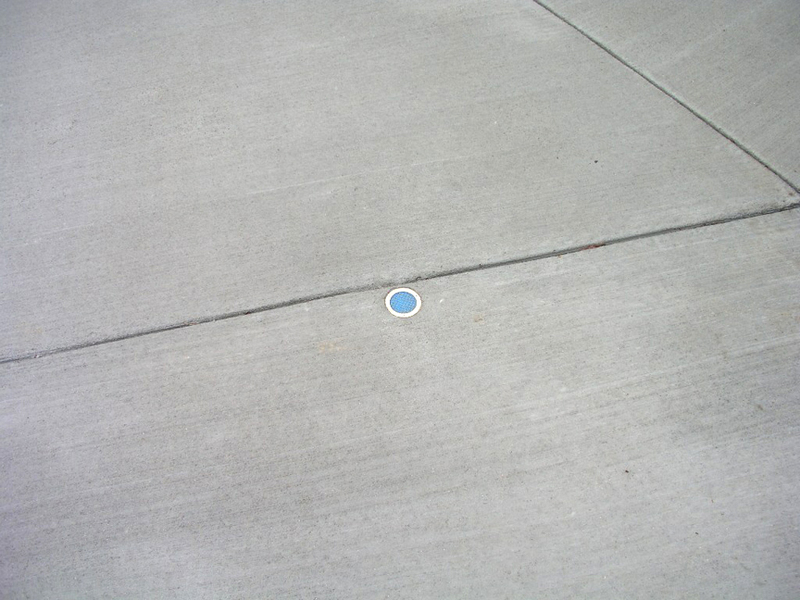 In-ground sensors detect the actual conditions on the snowmelt surface to ensure melting starts when snow falls. The sensors also detect as soon as the surface is dry and shut the system off immediately, optimizing the energy efficiency of the system. 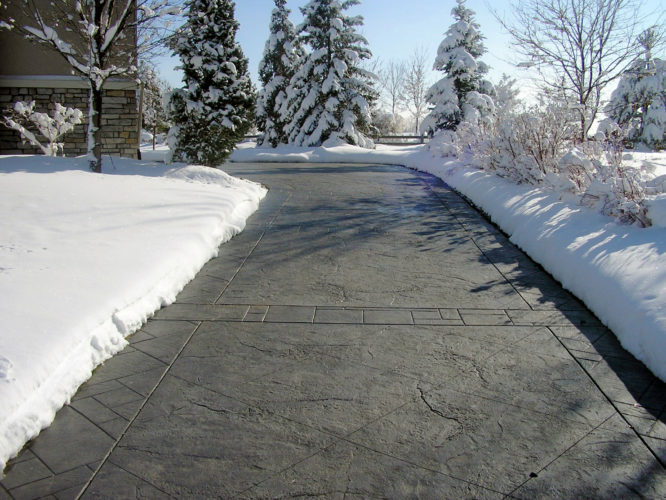 Our reliable Snowmelt systems easily install in concrete, asphalt, and under pavers to keep your outdoor areas free of snow and ice. Once it’s installed, you’ll never have to shovel snow or worry about an icy surface again. 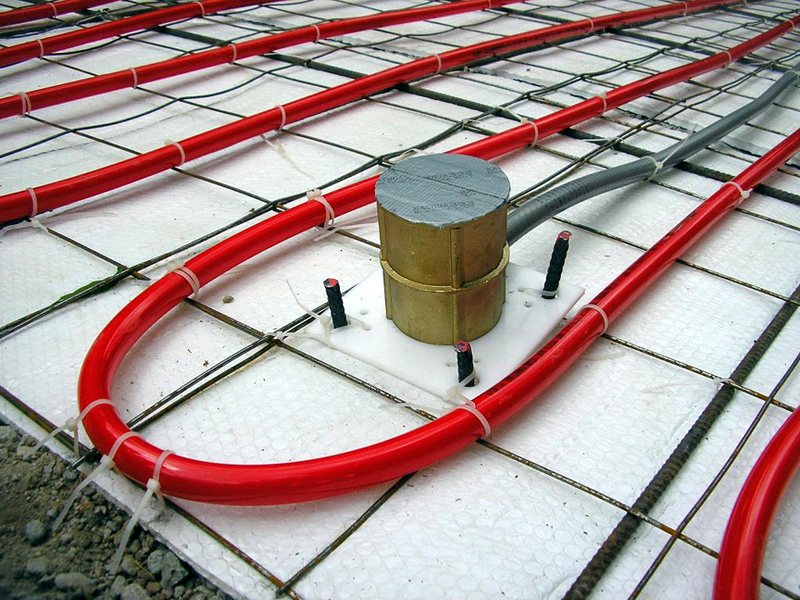 Infloor Heating Systems has spent decades researching and learning about the science of snowmelt technology, as well as designing and installing these reliable and efficient systems. We can answer any questions you have about these systems, as well as design a custom system and provide the entire system as one complete shipment. We aim to make your experience pleasant and successful. Let’s get started today!